WASHINGTON -- Donald Trump has chosen Indiana Gov. Mike Pence as his running mate, adding political experience and conservative bona fides to his Republican presidential ticket. Trump announced his decision on Twitter Friday morning, capping a frenzied 24 hours of speculation about his choice. Clinton's campaign moved quickly to paint Pence as the "most extreme pick in a generation." 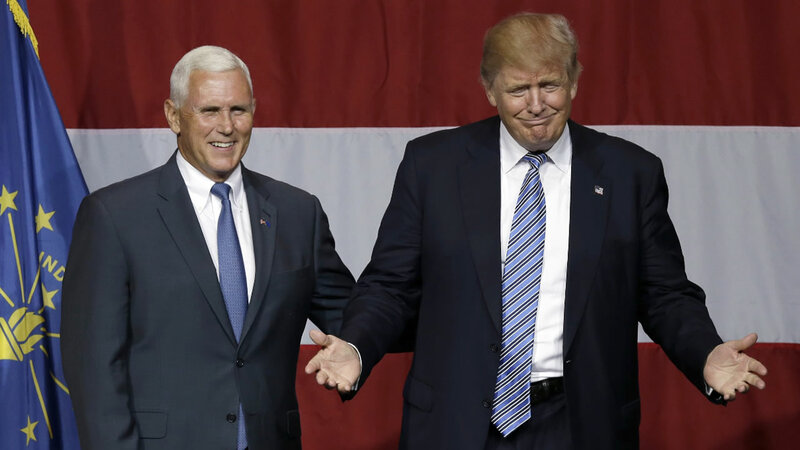 Pence rose to the top of Trump's list in recent days as the two men spent more time together. Pence was the favored choice of many Republican leaders, as well as some top advisers in Trump's campaign, reflecting a desire to see the real estate mogul add a more traditional politician to the ticket. But his support for the measure led to a revolt from the business community, which joined gay rights advocates in successfully pushing for changes to the law. It also turned off some moderate Republicans, helping derail Pence's own presidential ambitions.